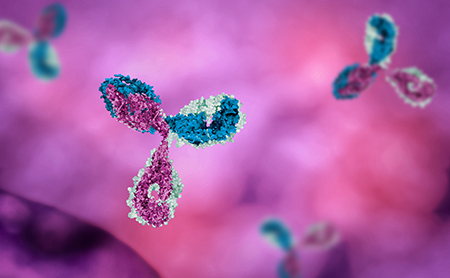 Even before the 1980s, the notion of attaching a cytotoxic agent to a tumorspecific antibody captured the collective imagination of the international drug development community. Were antibodydrug conjugates (ADCs) the magic bullets everyone was looking for that could, among other things, cure cancer? The evolution of ADCs is a stunning example of how global research can sculpt a new technology, gradually refining it in ways no one initially imagined, often spurred by other discoveries that surface along the way. For ADCs, years of advances in molecular and cell biology, conjugation chemistry and immunology were needed before concept could become practice. And ever since the initial approval of MYLOTARG™ in 2000, ADCs have changed significantly. Conjugation, linker and toxin chemistries have all evolved, as has the field of bioprocess manufacturing. Today, with four commercially approved drugs on the market and approximately 80 programs in clinical trials, simplifying the complex supply chain to make manufacturing efficient is a necessity. With approximately 80% of ADC projects outsourced to contract development and manufacturing organizations (CDMOs) , a transparent and integrated supply chain is critical for success. This paper will discuss how ADC chemistry and manufacturing have evolved over the past ten years, present the challenges this dynamic growth has created and describe how CDMOs are adapting to these changes to meet customer needs, now and in the future.